Advanced Nutrients Connoisseur Bloom is the highest quality 2-part bloom nutrient you can buy. When you have perfected the art of growing, and got all your environmental factors bang on, Connoisseur will allow you you reach that last step for maximum crop size and quality. Designed by top scientists to be the ultimate product in plant nutrition for the heaviest harvests of the finest quality. 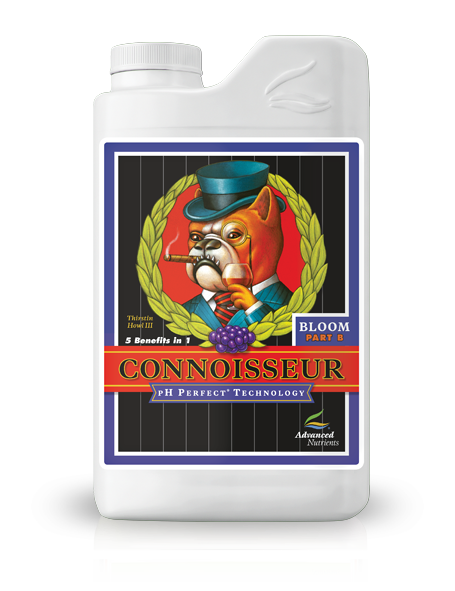 Advanced Nutrients Connoisseur Bloom is a base nutrient for all types of hydroponic systems. Connoisseur Bloom is complete plant food supplying all the basic nutrients required by plants for superb blooming in the flowering stage of the plants development. Scientific research and development has made Connoisseur Bloom quite different to other hydroponic nutrients on the market today. If you have got your grow environment absolutely ideal, and perfected every aspect of your growing, then Connoisseur will allow you take your yields and produce quality up by yet another notch. 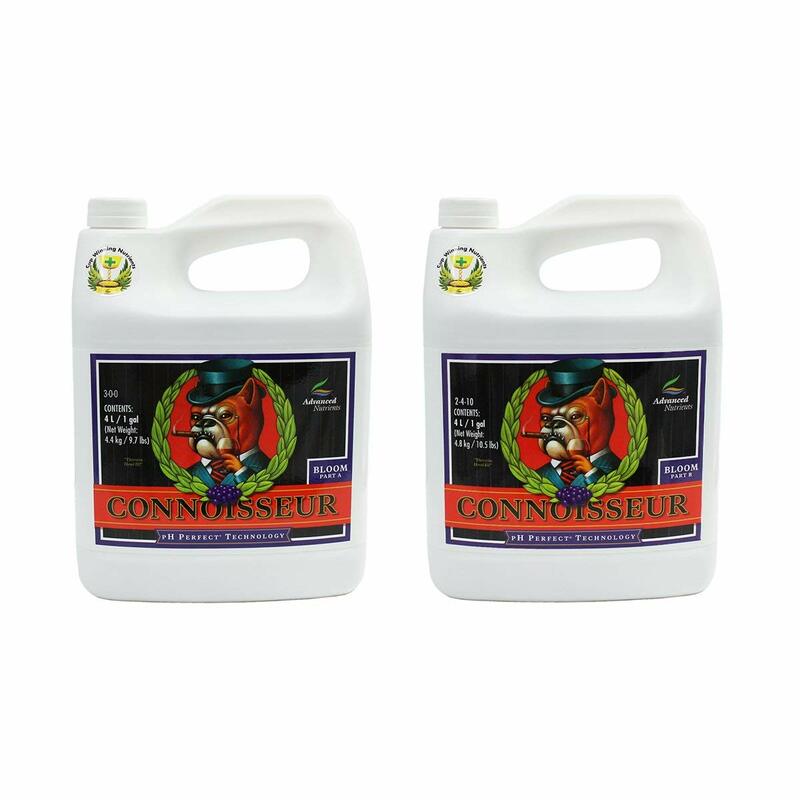 Connoisseur Bloom is 5-in-1 product. 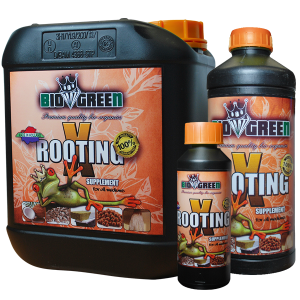 It contains an organic “wetting” agent to allow easier spreading and uptake of nutrients by roots. Connoisseur Bloom also contains humic and fulvic acids for better nutrient absorption and transport around the plant. Finally, it contains a whole range of amino acids which are the building blocks of proteins that enhance growth, hormone production and essential oil production. The ingredients are all the finest possible, which accounts for the premium price of this product. The research that has gone into it is second to none. As if that wasn’t enough, Connoisseur Bloom is now an extremely appealing product to both newbie and pro growers due to it’s “pH perfect” properties. In other words, Connoisseur Bloom automatically adjusts the pH of your nutrient solution to the perfect level and then keeps it there! There’s no need to mess around with dangerous acids or alkalis, and you can leave your pH meter at home! 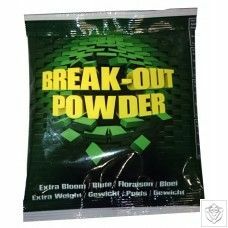 The saving in time and hassle that this brings is considerable and makes it the easiest-to-use 2-part nutrient available. The only thing you have to remember is that for the “pH perfect” technology to work, only Advanced Nutrients boosters and additives should be added to the reservoir. Using products made by other manufacturers may stop the pH perfect technology from working. Fill your recirculating hydroponic system reservoir with water and add equal amounts of Advanced Nutrients Connoisseur Bloom Part A and Advanced Nutrients Connoisseur Bloom Part B to the tank to achieve the required strength and mix well. We recommend using a syringe or beaker for accurate measurement of this product and a CF/EC/PPM meter such as the Bluelab Truncheon to check the TDS. Adjust as necessary. Next, add any additives and boosters you wish to use and again mix well. As long as you have used only Advanced Nutrients products in your reservoir then the pH will be exactly right. 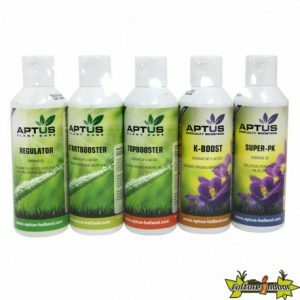 If you have used any products other than Advanced Nutrients then the pH perfect technology will possibly not work anymore and pH adjustment will become necessary. If this is the case then we recommend the use of a pH meter such as the Horticare pH meter to help accurately set the pH to the required level. Also, it is advisable to renew your nutrient solution every 7 days. Both parts of a 2-part nutrient are designed to be used together in equal amounts. Using only part A or part B, or using them in unequal amounts will result in a nutrient solution which is not properly balanced. This will almost certainly lead to your plants suffering from deficiencies. Please ask a member of staff for the recommended nutrient strength and pH range for the particular type of plant that you wish to grow as different types of plant have different nutrient strength requirements. The ideal nutrient strength may also vary depending on the growth stage of a plant.